Thanks for your interest in this contest. 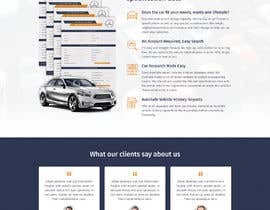 I need a single page mockup for a vehicle website. The website hosts a web based application that enables users pull up vehicle specification data and history reports. While the following communicate my requirements for the mockup, feel free to improve on them, not necessarily taking everything I've said into account. As with most sites, the home page should be broken down into sections. 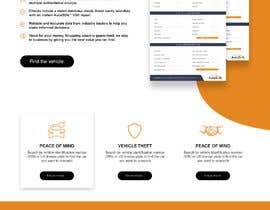 First, our logo at the top left, a few links at the right (Register Stolen Vehicle | Find a Dealership) and a background image as well as a form field for the VIN. 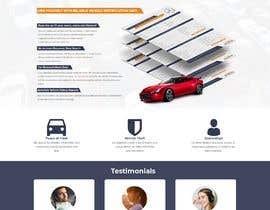 "AutoSafe provides valuable information not readily available to you as a consumer, helping you make the right choices when purchasing your next car." 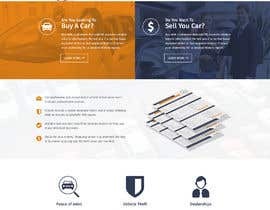 "AutoSafe helps you shop smart when buying a car." 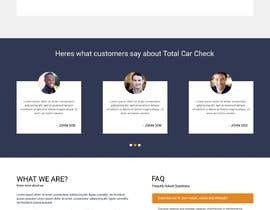 "Harnessing the power of trusted automotive data, AutoSafe helps used car shoppers make safer investments." "Knowledge is power. 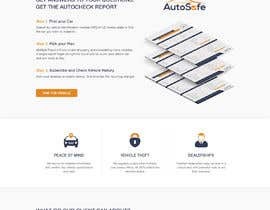 Start your used car search with a detailed specification report from AutoSafe." "Arm yourself with reliable vehicle specification data"
Does the car fit your needs, wants and lifestyle? -- Discover seating and storage capacity, mechanical or performance specifications as well as any special considerations like weight, engine/transmission performance and fuel mileage to help narrow down your selection. It's easy and straight forward. No Sign up, subscription or recurring fees. All you need is the vehicle indentification number (VIN) to get instant reports sent to you. 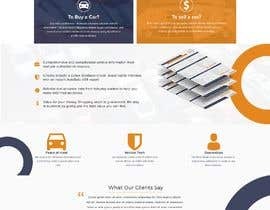 Every AutoSafe report includes a stolen database check. We routinely curate a list of stolen vehicles to protect unsuspecting buyers. 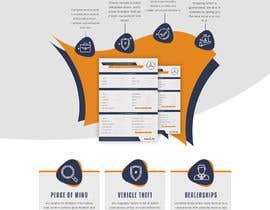 You should also match the VIN and specifications data with the actual vehicle and registration documents to reveal the vehicle's characteristics are a match. 60% of all imported cars have bad history. 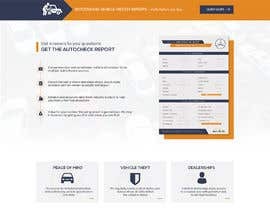 Demand an AutoSafe Vehicle History report from the dealerships before committing financially. please check it entry #83 . Please wait, working on another version. Please check it Entry #71 . Please check it Entry #69 . Please check it Entry #51 . Hi, please wait for my entry.. Many nice submissions. We'll be considering many of these at the end of the contest. Particularly interesting is #36. The use of the brand color (#e48720) as background at different areas of the design looks very nice. As stated earlier, we're also open to color backgrounds. I would like to see variations of this design. Thank you! I need modern, clean looking designs. 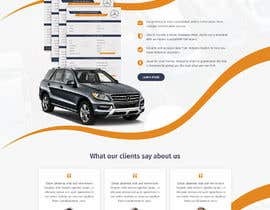 While the wireframe above depicts what I have in mind, I'm open to your ideas as well so it's not necessarily to strictly follow the wireframe's layout. The background can be any clean photo you find on the internet, we will replace them. 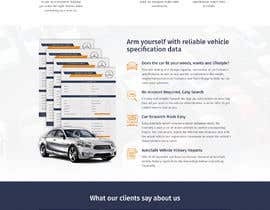 You can check https://roadster.com for a very nice home page design. You also need to change the logo (linked above) to white/transparent so it looks clean on a background photo. It's also fine to not use a background photo, and instead use a color or css like pattern. The design shouldn't be noisy or distracting. Space out the elements reasonably and use clear fonts. For the report, the design from #6 is my favorite. 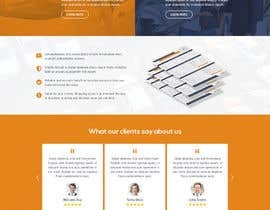 I can combined all the changes and deliver it today Can You award me..
#27 - Still a very good design with potential. However it still doesn't include the information that was shared in the wireframe. The news site logos aren't needed right now, the report should use my own report (PSD added to description). 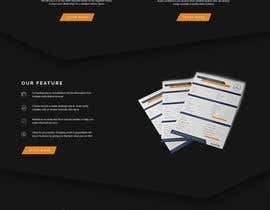 #28 - This is a great submission because the designer ensured that all required information according to the wireframe was featured on the report. Thanks! 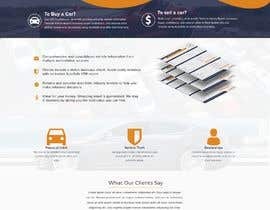 I like the section that shows "To Buy a Car? 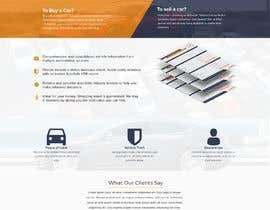 / Sell Your Car?" used in #11 . Instead of the red, my brand color (#e48720) can be used. This can replace the section "Buyers / Section" in the wireframe. I think it looks much better than my layout/ This is just a suggestion. #26 - This is a very attractive design with great potential. However, the designer hasn't included any details from my wireframe or description. It will be interesting to see how those can be featured in this design. I really like the creativity in it. 1. The actual report as shown in #6 should be used without the car under the report. 4. 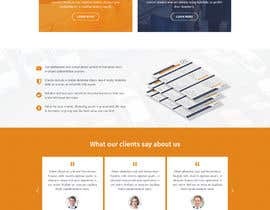 Other details and elements from the wireframe should be added. final file you need is the psd?